Post: Gaurav Akrani. Date: 6/26/2010. Comments (3). Label: Management, Study Notes. 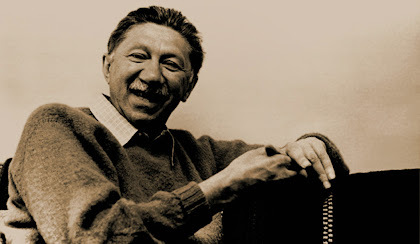 It was in 1943 a Psychologist Mr. Abraham Harold Maslow suggested his Theory of Human Motivation. His theory is one popular and extensively cited theory of motivation. Maslow's theory is based on the Hierarchy of Human Needs. 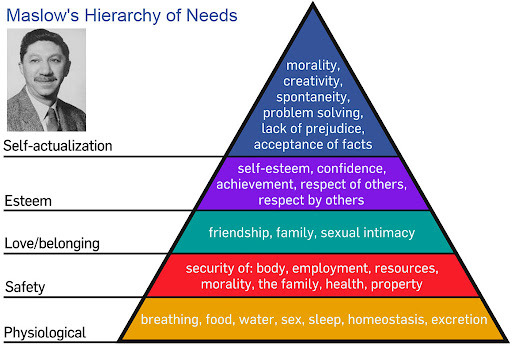 According to Maslow, human behavior is related to his needs. It is adjusted as per the nature of needs to be satisfied. In hierarchy of needs theory, Maslow identified five types / sets of human need arranged in a hierarchy of their importance and priority. He concluded that when one set of needs is satisfied, it ceases to be a motivating factor. Thereafter, the next set of needs in the hierarchy order takes its place. These needs in hierarchy can be compared to a pyramid. At the lowest level, there will be first set of needs which can be described as basic needs and are universal in character. This will be followed by other sets of needs. Man is a wanting being, i.e. his wants are growing continuously even when some wants are satisfied. Human needs are of varied and diversified nature. They can be arranged in a hierarchy of importance progressing from a lower to a higher order of needs. Needs have a definite hierarchy of importance. As soon as needs on a lower level are fulfilled, those on the next level will emerge and demand satisfaction. This suggests that bread (food) is essential and is a primary need of every individual. According to Maslow, "Man lives by bread alone when there is no bread." However, he feels the other needs when his physiological needs are fulfilled. In brief, bread is important but man does not live by bread alone. There are other needs (security / safety, social, esteem and self actualisation which influence behavior of people (employees) to work. This is the basic feature of Maslow's need hierarchy. Attention to all human needs is essential for motivation of employees. Attention to the provision of bread alone is not adequate for motivating employees. Bread can act as motivating factor when there is no bread but when it is available, its use as motivator comes to an end. Here, other motivators (e.g. security of job, social status, etc.) will have to be introduced for motivating employees. Attention to other needs such as security needs, social needs, esteem needs and self actualisation needs is equally important and essential for the motivation of different categories of employees. Maslow, in his theory, has referred to different needs and suggested that attention needs to be given to all such needs as attention to physiological needs alone is not adequate for motivating employees. According to Maslow, "Man does not live by bread alone". This conclusion of Maslow is a practical reality and needs to be given adequate attention while motivating employees. A satisfied need does not act as a motivator. As one need is satisfied, another replaces it. Maslow's Pyramid of Human Needs is shown in the following diagram. Physiological Needs : Physiological needs are the basic needs for sustaining human life. These needs include food, shelter, clothing, rest, air, water, sleep and sexual satisfaction. These basic human needs (also called biological needs) lie at the lowest level in the hierarchy of needs as they have priority over all other needs. These needs cannot be postponed for long. Unless and until these basic physiological needs are satisfied to the required extent, other needs do not motivate an employee. A hungry person, for example, is just not in a position to think of anything else except his hunger or food. According to Maslow, 'man lives by bread alone,' when there is no bread. The management attempts to meet such physiological needs through fair wages. Security / Safety Needs : These are the needs connected with the psychological fear of loss of job, property, natural calamities or hazards, etc. An employee wants protection from such types of fear. He prefers adequate safety or security in this regard i.e. protection from physical danger, security of job, pension for old age, insurance cover for life, etc. The safety needs come after meeting the physiological needs. Such physiological needs lose their motivational potential when they are satisfied. As a result, safety needs replace them. They begin to manifest themselves and dominate human behavior. Safety needs act as motivational forces only if they are unsatisfied. Social Needs : An employee is a human being is rightly treated as a social animal. He desires to stay in group. He feels that he should belong to one or the other group and the member of the group should accept him with love and affection. Every person desires to be affiliated to such groups. This is treated as basic social need of an individual. He also feels that he should be loved by the other members. He needs friends and interaction with his friends and superiors of the group such as fellow employees or superiors. Social needs occupy third position in the hierarchy of needs. Esteem Needs : This category of needs include the need to be respected by others, need to be appreciated by others, need to have power and finally prestigious position. Once the previous needs are satisfied, a person feels to be held in esteem both by himself and also by others. Thus, esteem needs are two fold in nature. Self esteem needs include those for self confidence, self-respect, competence, etc. The second groups of esteem needs are those related to one's status, reputation, recognition and appreciation by others. This is a type of personal ego which needs to be satisfied. The Organisation can satisfy this need (ego) by giving recognition to the good work of employees. Esteem needs do not assume the motivational properties unless the previous needs are satisfied. Self-actualisation Needs : This is the highest among the needs in the hierarchy of needs advocated by Maslow. Self actualisation is the desire to become what one is capable of becoming. It is a 'growth' need. A worker must work efficiently if he is to be ultimately happy. Here, a person feels that he should accomplish something in his fife. He want to utilise his potentials to the maximum extent and desires to become what one is capable of becoming. A person desires to have challenges and achieves something special in his life or in the area of his specialization. Though every one is capable of self-actualization, many do not reach this stage. This need is fully satisfied rarely. Maslow's theory of motivation (Hierarchy of Needs Theory) is very popular all over the world and provides guidelines to managers / managements for motivating employees. However, Maslow's theory has many limitations. Maslow's theory is over simplified and is based on human needs only. There is lack of direct cause and effect relationship between need and behavior. The theory has to refer to other motivating factors like expectations, experience and perception. Needs of all employees are not uniform. Many are satisfied only with physiological needs and security of employment. The pattern of hierarchy of needs as suggested by Maslow may not be applicable uniformly to all categories of employees. Maslow's assumption of 'need hierarchy' does not hold good in the present age as each person has plenty of needs to be satisfied, which may not necessarily follow Maslow's need hierarchy. Maslow's theory is widely accepted but there is little empirical evidence to support it. It is largely tentative and untested. His writings are more philosophical than scientific. Although Maslow's Hierarchy of Needs Theory has been criticised on above grounds, still it holds many advantages or merits. It helps the managers to understand the behaviour of their employees. It also helps the managers to provide the right financial and non-financial motivation to their employees. This overall helps to increase the efficiency, productivity and profitability of the organisation. its good helped me pass my a-level psychology essay....................... Thanks.